It seems that every year I start these trips a little less prepared, and this was certainly no exception. I played a show last night and didn’t stumble home until after three am. Woke up at eleven, had a slow brunch, and then scrambled to get all my stuff together. 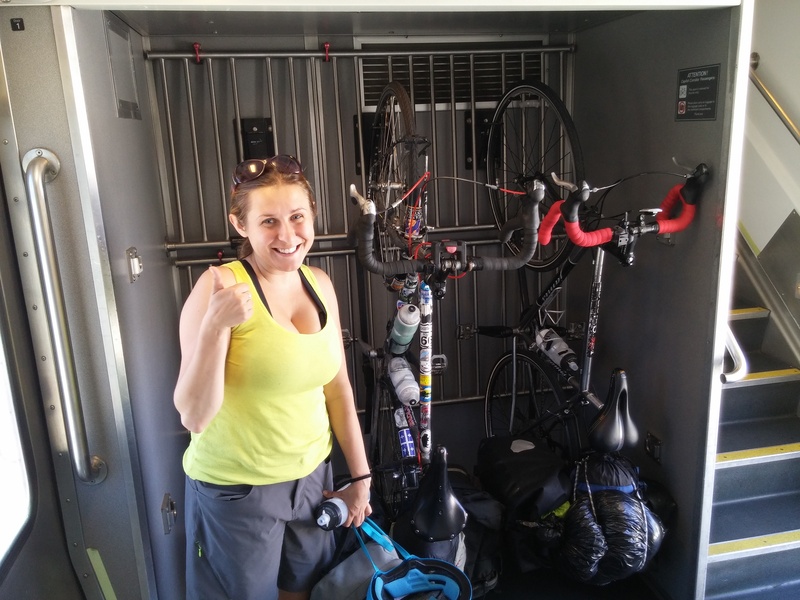 I managed to get everything packed up and on my bike in a couple hours, and Casey and I rushed out to catch the train with ten minutes to spare! Now we’re riding the train through the Sacramento delta, hoping we managed to grab everything we need! Time will tell! 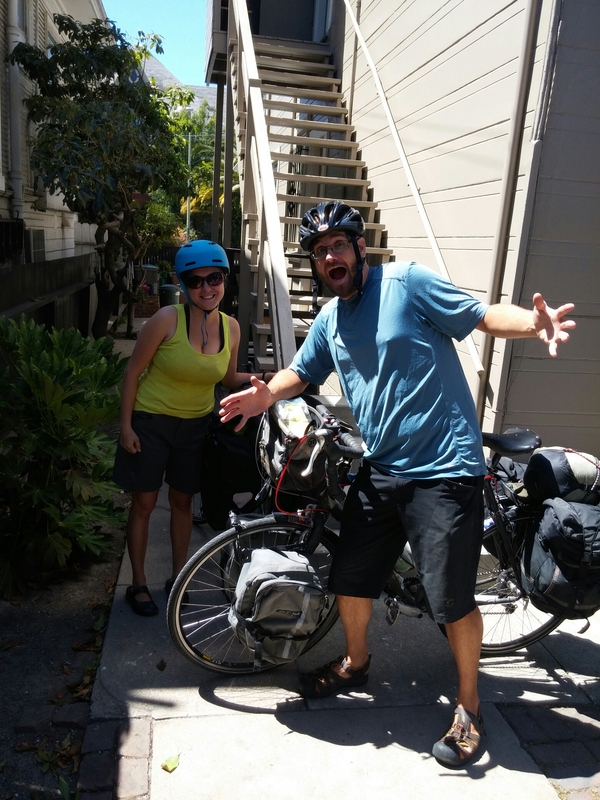 A perfectly bike bums start to our adventure. 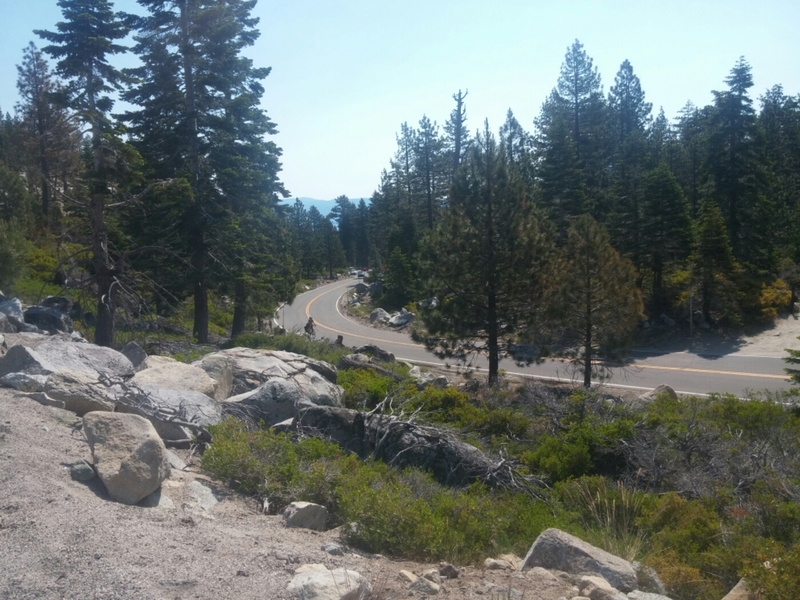 Author gregPosted on June 21, 2015 Leave a comment on Bums away! Hey it’s Casey posting, hooray! You might remember me from the “about me” section, or the previous post. 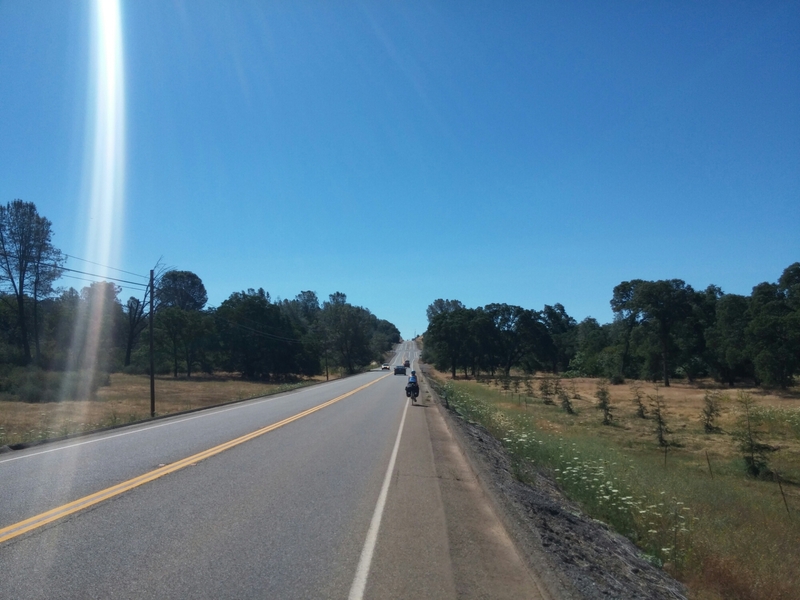 Greg and I got off to a good start this morning, accomplishing the goal of 20 miles to Placerville before noon. 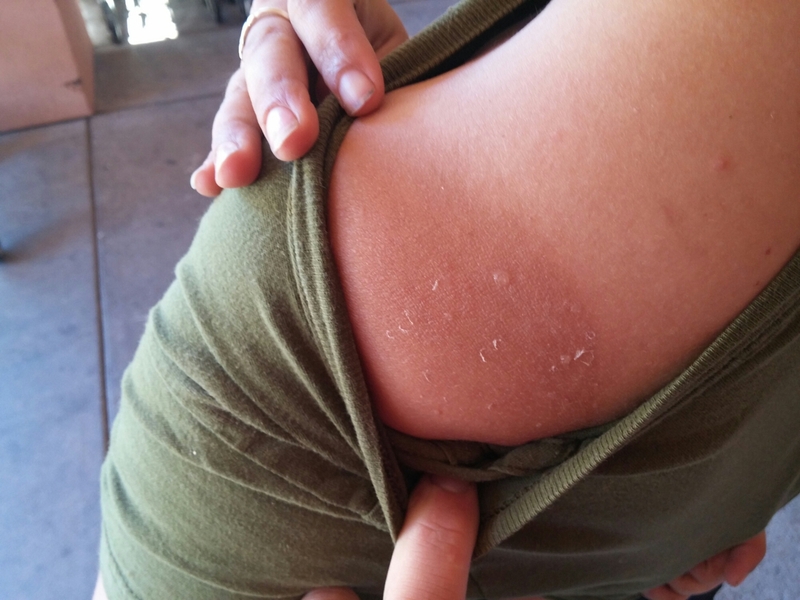 Unfortunately my vegan superpowers (and sunscreen) didn’t protect me from getting a blistering sunburn. So I soon found myself on the side of the road with a towel draped over my shoulders trying to change out of my sporty bra shirt thing and into a regular t shirt without flashing any of the upstanding residents Rescue, CA. If I wasn’t so hot and exhausted I would try and come up with a pun about needing to be rescued, but I am just too tired. 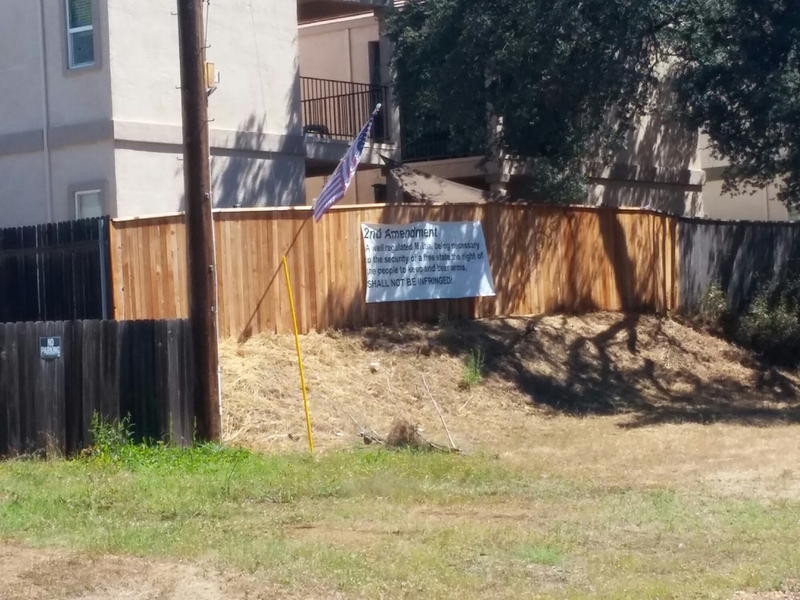 We also saw a fun sign about the second amendment that we were pretty sure had some grammatical errors, but who needs grammar when you have guns! Now we are resting in the vegan oasis of Placerville Natural Foods Co-op and Greg is getting ready to eat an entire pint of ice cream. 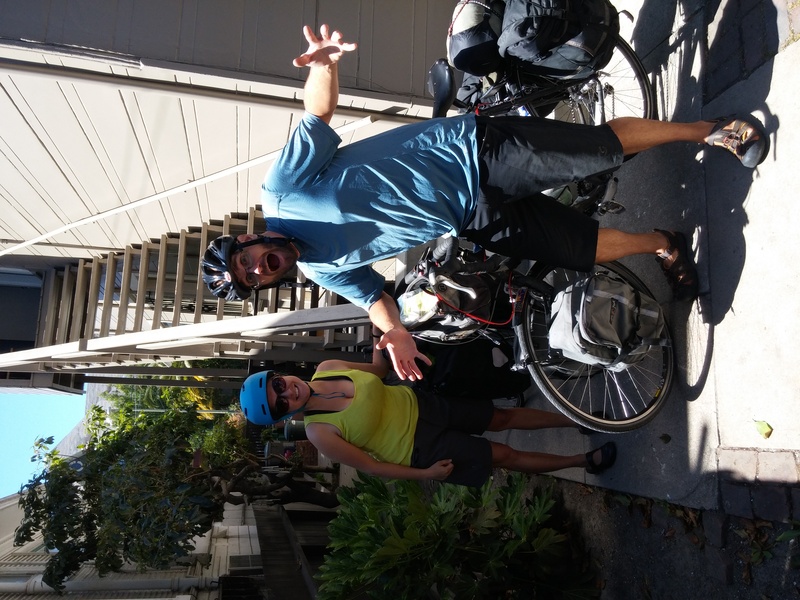 Yay bike touring! Casey and I got confused and forgot we were riding bikes and not rocket ships as we ascended a mile and a half straight up the mountains. 6 hours of ride time at 5.8 miles per hour would break most people, but Casey and I did it back to back to back! Nothing keeps a good bum down! 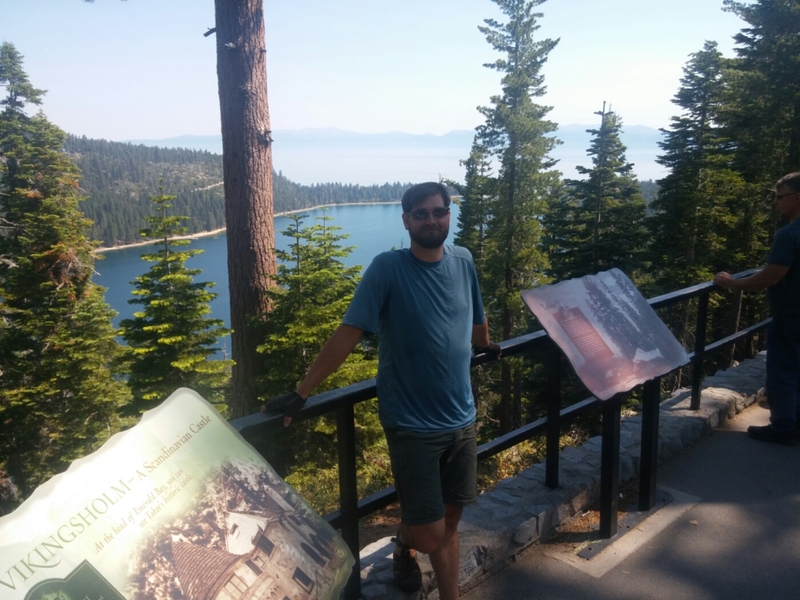 After destroying the sierra crest at Carson pass, we took a day off in south lake Tahoe to lick our wounds (and see the Rock save his family from certain doom). 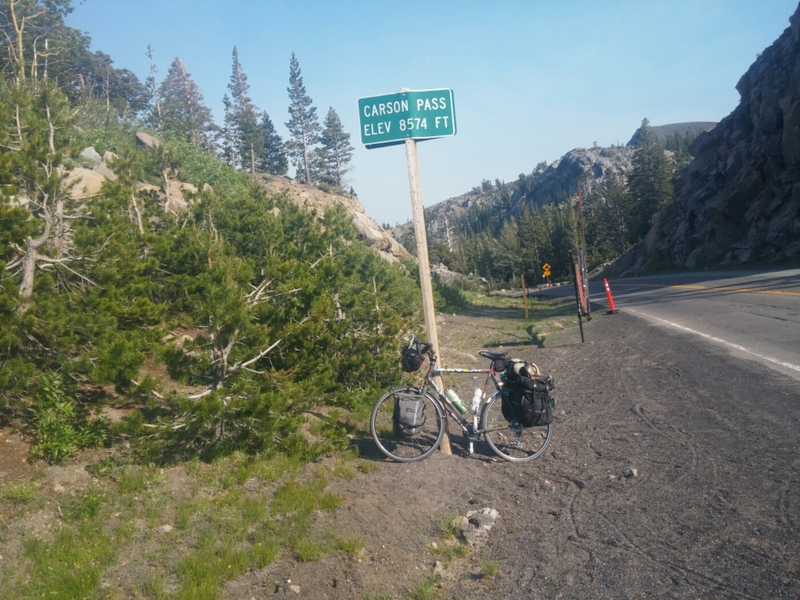 After a beautiful ride up lake Tahoe, we met Andrew in Truckee yesterday, and are now riding through the beautiful valleys of the northern sierra. It’s as hot as the vinyl seats of your mom’s 1980s station wagon, but it’s OK as long you’re moving. As a precaution, we’re about to make liberal use of the lake in graeagle, CA. See you down the road!